Forward cameras, and that nice deliberate shot of the manual IPD gauge? Dunno. Is it all about the pixels or the FOV at this point? Personally, I’ll take a narrow field of view and higher resolution over a wider FOV. I mean, with the Rift and O+, I feel OK enough with the FOV. Again, an observation I made last year…maybe it is because I wear glasses, I’m just sort of used to a limited FOV. Not sure exactly what my frames give me, but I’ll bet is is less than 130 degrees before I hit the frame edges. I’m so jealous of people with perfect vision. People don’t really know. Best guesses would be wider FOV but not quite as high a resolution as the Reverb - hard to tell with Valve. Interesting that they seem to be selling it direct, as I’m sure people won’t miss HTC support. The forensics on that single screenshot are going crazy. A lot of people are claiming it has both inside-out tracking (with cameras) plus maybe an optional outside in Lighthouse 2.0 tracking for hand controllers. The screenshot also sort of indicates that the screen is ‘curved’ so the that’s be interesting. Having the Rift S, the HP Reverb and the Valve Index or arrive at more or less the same time is ideal. They all might offer different strengths, but it is great to have the choice (as long as everything you play isn’t in the Oculus store…). The forensics on that single screenshot are going crazy. Have we reached maximum ENHANCE yet? Being lazy because I’m not home…but is it planning to ship with controllers and do we know what they look like? We know nothing other than what’s shown in that image. 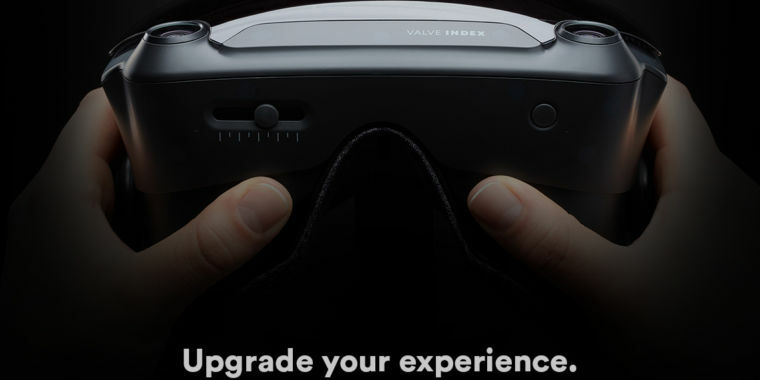 Valve did say they would only launch a new headset when they had some new games as ‘launch titles’, so the rumors are crazy about things like Half Life 3 VR (lol), using the new knuckles controllers. One thing the headset might do is provide optional tracking either way, i.e. if you are into room VR then it could use lighthouse 2, but if you just want it for sit-down maybe inside-out. Because we can only see the bottom, it might be 4 or 5 cameras like the Rift S. Dunno. I’m just sort of used to a limited FOV. Not sure exactly what my frames give me, but I’ll bet is is less than 130 degrees before I hit the frame edges. Maybe get some more WIDMOvr lens for whichever one you end up with? I think getting that eyeball close to the lens will help a lot. For driving and flight I agree with you that clarity is probably king, but a slightly wider FOV will be so nice for things with an horizon. Tell me that isn’t the demo for half life 3! It has a crowbar. It has a bloody valve in it!! I am convinced this is the start of something big. When I’m proved right in a year or two remember I called it! Thrilled that the market is getting a bit wider now! 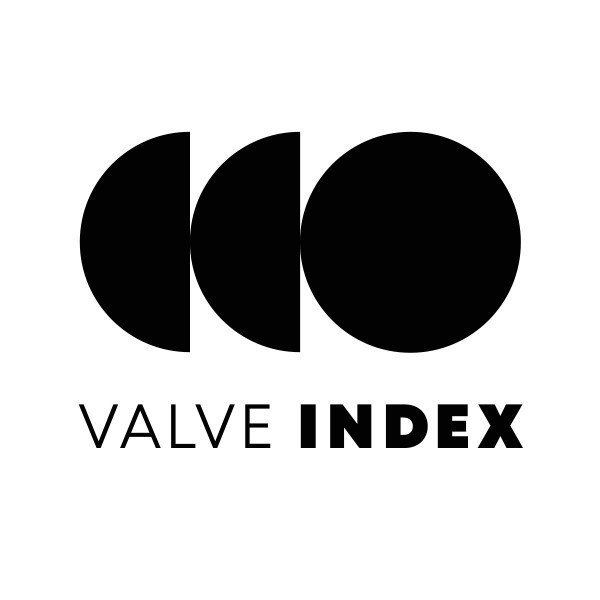 And Valve is certainly a company dedicated to PC tech, so that’s good news as well. I’m thinking more like another STALKER game…STALKER 4: The Call of the Shadow of Mudspkie…uh…under a Blue Sky! Seriously - they look more like the STALKR “universe” weapons…mmmmm…STALKER…I love those games …got to go!!! You are incorrect. Half Life 3. The giant red valve is obviously a hint that only my superior intelligence can decipher. You already got your next stalker game! It’s called metro exodus! …that the design is a multi-lens set-up, i.e. a lens in-front of a lens. That would fit the name ‘Index’, i.e. eye refraction index. This would allow a wide field of view, plus a very dense screen in a small headset. Because Valve have Source 3 as their own engine, the speculation is leading to some sort of software foveated rendering, so that the center is extra clear but the peripheral vision is less so, giving the rendering engine less work to do, allowing the headset to be used on lower spec GPUs. It might only be a rumor but it sure sounds nice! Hopefully they release full specs and price next month, as it seems to be becoming everyone’s ‘hopes and dreams’ device so far, and whatever the real situation is people might have to crash down to reality. My feeling is that it is going to be good, but expensive, as in within the $800 mark for the headset and then various tracking options. Having said that, Valve has traditionally done hardware ‘at cost’ (Steam Link, Steam Controllers etc), so maybe they’ll cushion the price a bit. 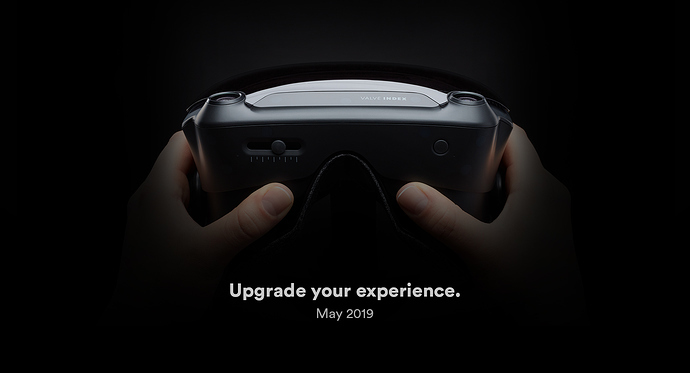 I do hope they try some new innovations with display and lens, even if it means the Rift S becomes the mainstream entry PC device and things like this become the weirder high-end stuff - there is space on both ends of the market in VR. This is certainly a great spring for VR. Finally things are moving again. Valve could be the company to make a generation step in VR. Looking forward to learning all the details and whether this or the Reverb will be my new headset. Also groundbreaking new Half-Life maybe?